While nearly every city in Turkey offers an ancient ruin, some of the most renowned include those found at Ephesus. Located near Izmir, Ephesus is among the top destinations in Turkey. Ephesus, a UNESCO World Heritage Site, consists of four parts: Çukuriçi Tumulus, Ayasuluk Hill, Ephesus Ancient and the House of the Virgin Mary. Continuously inhabited for 9,000 years, this ancient city was one of the region’s most important trade and harbour cities from antiquity. The city had its golden age during the Hellenistic period, and its heritage lives on. 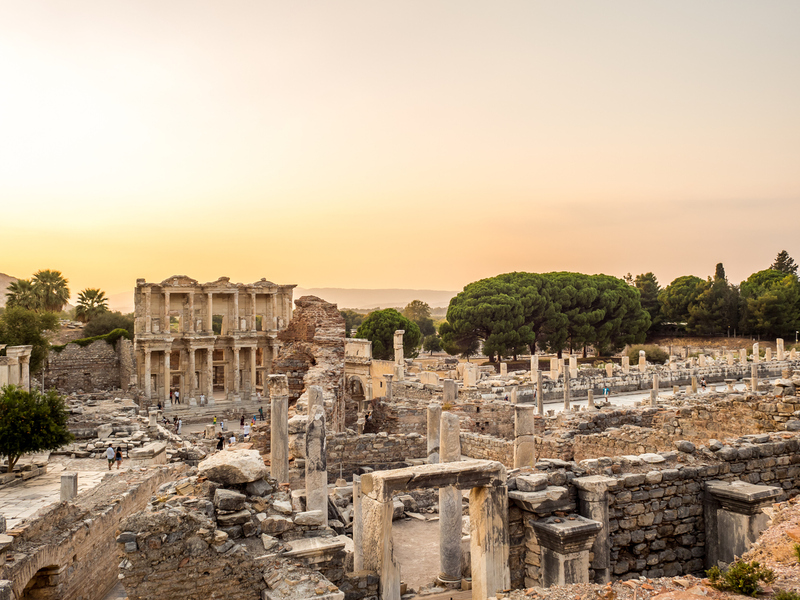 Thanks to the archaeological finds at Ephesus, we can now research the living conditions of those eras, as well as the architectural and religious perspectives. Notably, the Ecumenical Council accepted Mary as the mother of Jesus Christ during a session in Ephesus, making the city a major destination for anyone interested in early Christianity. Search for Ephesus Ancient City Tours! The Ephesus Ancient City is easily accessible from Izmir. Pegasus is ready to take you there with cheap flights to Izmir. Minibuses depart from Selcuk, in Izmir, to the Ephesus Ancient City. As the Ephesus Ancient City is protected, there are no hotels. However, there are numerous hotels, guesthouses and B&Bs in the towns and cities nearby, including Selcuk and Izmir.